Not every curly girl loves oils. We have all kinds of curly girls among us and it is only fair we discuss the options for those that steer clear of oils in their hair products. Sometimes the ingredients in those products will agitate the skin whether it is on the scalp, face, neck, or the rest of your body. Many have nut, soy, dairy, or gluten allergies, and ingesting them is not the only way to come into contact with them nor is it the only way they can affect someone allergic to them; and if you have small children, accidentally ingesting hair products in not unheard of during wash day. Brands are becoming more diligent in finding ways to accommodate consumers with certain allergies, and that can also help the curly girl who chooses to steer clear of certain ingredients. Hair products can be just as effective in creating shine, fighting frizz, and making hair stronger without the beloved oils. Here are a few oil-free hair products for those with allergies and the looser textures that crave more lightweight products. 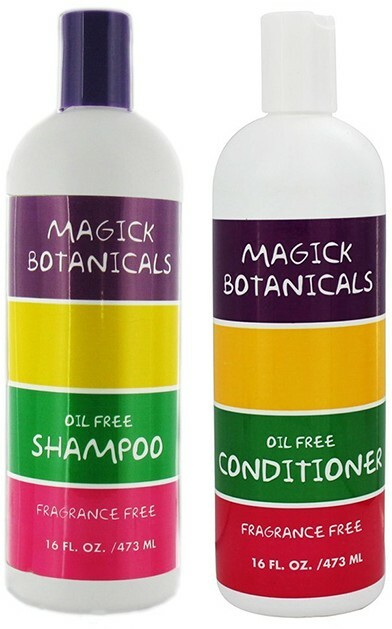 This oil-free shampoo is also fragrance free and boasts of using botanical extracts of clover, chamomile, sea kelp, rosemary, sage, Melissa, horsetail, yarrow, and coltsfoot. You may not have oil but you still have tons of natural ingredients your tresses will love. Just like its shampoo, this botanical conditioner is oil and fragrance free. It boasts of a pure, simple formula of quality ingredients safe for sensitive skin. Unscented and oil free, this shampoo has biotin, chamomile, red clover, comfrey, balsam, and has no animal ingredients. No coating ingredients and only great components for healthier and stronger hair. This volumizing conditioner won’t weight down your curls with oils or silicones. It has lightweight conditioning agents to add shine, softness, and volume. With octafluoropentyl methacrylate (OFPMA) this conditioner creates a thin, invisible shield around ever strand of hair fighting frizz, humidity and even repelling dirt and oil. Water, vegetable glycerin, aloe leaf, and citric acid add moisture to this gel. A highly concentrated humectant that will restore moisture to dry strands, this moisture gel will improve your hair’s softness and body. 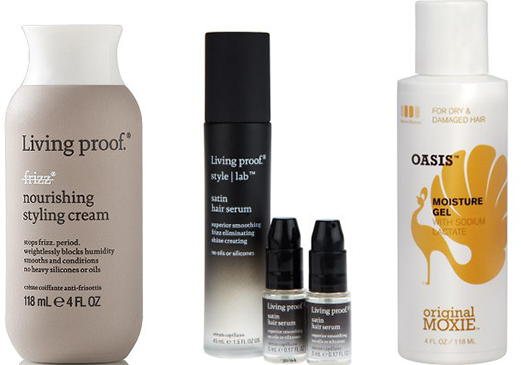 Living Proof is back again with another oil-free asset to your hair arsenal. Fight frizz without oils or silicones with a rich conditioning and smoothing styler with the impressive OFPMA ingredient. No oils or silicones in this serum powered by a Sera-smooth complex, which offers smoothness while eliminating frizz. Get more manageable hair that is not weighed down. This styler is grease-free but full of shine strands all without oil.